With the current backlash against diesel, there's a lot of great manufacturer deposit contributions up for grabs at the moment. We've rounded up the the top 10 finance offers on diesels just in time for the 67 registration plate. As always, these offers can be withdrawn at any time, without prior notice from the manufacturer. They are also subject to terms and conditions - so always read the small print. 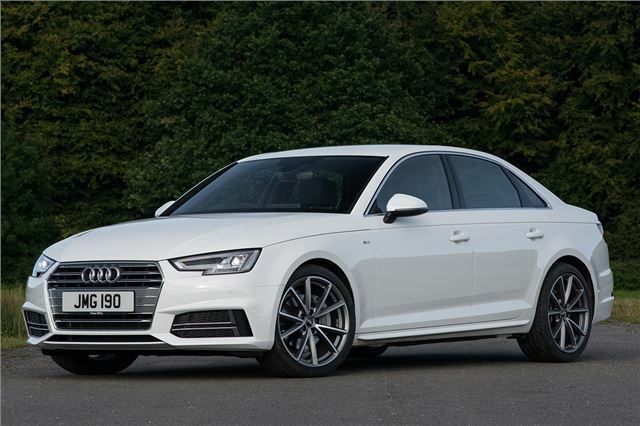 The Audi A4 is quiet, spacious, well-equipped and luxurious, with the 190PS 2.0-litre TDI offering a good blend of performance and fuel economy. Monthly payments aren't cheap, although they also aren’t the most expensive on this list. However, the deposit contribution is a very decent £3150, as long as you can put together a £5990 contribution of your own. Why no BMW'S? I just got £8410 off a new 320d GT with PCP @ 2.9%.Thats £4000 finance contribution and the rest from the dealer and no p/X to confuse the deal. Equivalent Tourings were about £7500 off.